"After failed abortion, deezums sees the 1.8 light" Build - Page 35 - Miata Turbo Forum - Boost cars, acquire cats. Pay no attention to ride the ****, no one else does. Just go trailer hitch and hitch mount platform bike rack. Just watch out though, will sit pretty low. I see used hitches on the local facebook group for $50-75 periodically. If I wasn't so lazy, this is what I would do. My fork isn't a plus sized fork, there's not a lot to choose from in the 571mm ATC range. It still fits 2.8" tires, but not anything more. I left the steerer long because I want to get more dollars when I sell the fork later, I assure you my head is hard enough for many knocks! I don't have a coin cell yet, but it's setting time in tunerstudio and counting from there! Without a module installed it just sets to noon and resets every 60 seconds, so I guess that's good! I also smashed my head against datasheets till **** bled and I finally understand configuring registers on SPI chips. I managed to get CAN realtime broadcasting working!! 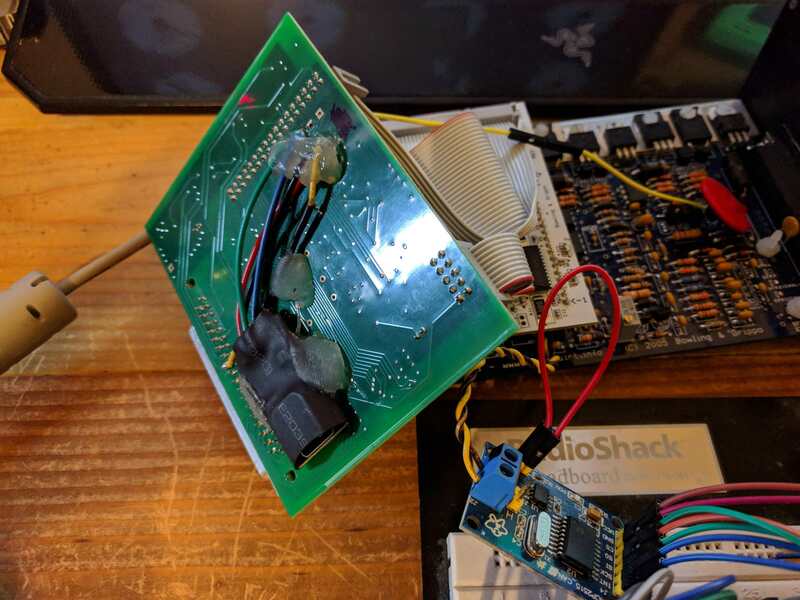 I could have used a teensy and saved a lot of time, but I need high speed 5V outputs for what I'm after so I'm staying with arduino. Now I just need to format everything like I like it and make some kind of display. I also taught myself eagle cad somewhere along the way, so I'll be having all sorts of fun with that one. 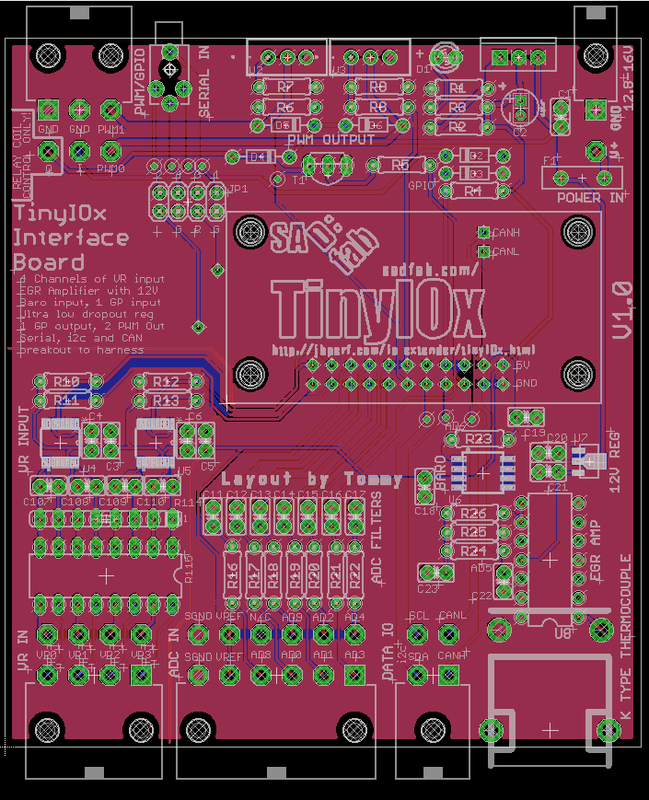 I made this "interface" board for my tinyiox that should be here soon, it will hopefully fit in a cheap aluminum extruded case I'm getting from China. I'd really like to make a bike rack that holds the thing up over the trunk, kinda like this guy has here. With a hardtop it gets a little trickier, but if you pull the chrome caps off the rear latches you get access to both bolt holes on each side and have room to run a stable across the trunk runner for the front fork. 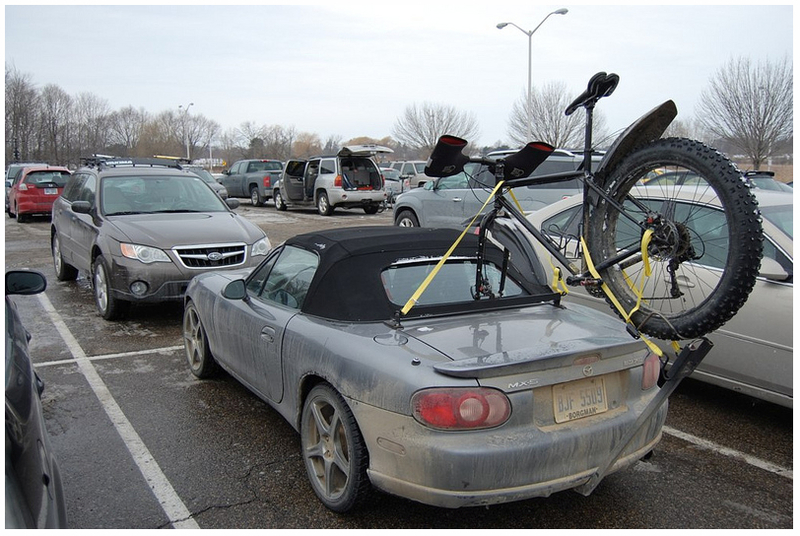 I'm hoping to use something off the tow hooks to grab the rear tire, then you can hold two bikes per miata! Also, my PWM idle transistor exploded, just sitting chilling on the jimstim. I don't think I need it since I have ms3x but it's odd it smoked itself with no load hooked up.